Journal or Magazine? How do I tell? Overview. Lakeview College of Nursing emphasizes the importance of direct, courteous, and respectful communication to informally resolve student concerns and complaints arising from situations where a student feels he or she has been treated unfairly. This complaint policy does not apply to grade changes. See Grade Appeal Policy. In the case of non-academic complaints, which include all complaints which do not involve grades, coursework, and course content, the complaining student shall contact the individual listed in the applicable department’s section of the Student Handbook. In the case of academic complaints, which include all complaints involving grades, coursework, and course content, the complaining student shall contact the instructor or course coordinator at issue. In the case of any complaint involving another student which does not fall under the Grievance Policy, the complaining student must discuss and attempt to resolve the matter with the other student. The formal complaint form must be filed within ten (10) calendar days of the incident. The name and email of the individual making the complaint. Please note that anonymous complaints will not be accepted, considered, or investigated. The names of all individuals involved in the complaint, including but not limited to students, instructors, and staff. A complete description of the incident/situation including dates, times, locations, other individuals present. A complete description of the actions the complaining student has taken to informally resolve the complaint pursuant to Section III(A), above. All applicable supporting documentation must be attached. The complaining student’s proposed or desired resolution. The Complaint Form can be submitted online. 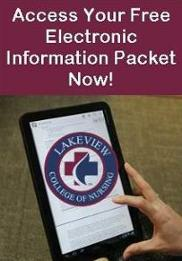 The form itself can be found on the LCN website under Students and then under forms. The complaining student may withdraw a complaint at any time. Please note that once a complaint is submitted, the college is not required to discontinue an investigation based upon a student’s decision to withdraw his or her complaint, and may continue to investigate as needed based on the nature of the complaint/incident. Reviewing the student’s written complaint. Interviewing the involved parties and/or possible witnesses. Reviewing relevant documentation and policies and procedures. All persons involved, including but not limited to the accused or complained of party, will be informed of the complaint/allegation, and will have the opportunity to respond or explain. Decisions regarding nonacademic complaints will be made by the President of LCN within fourteen (14) calendar days of receiving the Complaint Form unless a particular incident causes the investigation to be shorter or longer. Decisions regarding academic complaints will be made by the Dean of the LCN nursing program within fourteen (14) calendar days of receiving the Complaint Form unless a particular incident causes the investigation to be shorter or longer. Decisions made by the President and Dean are final. The individuals making the complaint, and the other individuals involved, will be notified by email of the decisions made by the President and/or Dean. Students will not be subject to adverse action as a result of filing a complaint. Retaliation against any student due to formal or informal attempts to resolve any complaint or concern is expressly prohibited. Students not satisfied with the final disposition of the complaint process may contact the state’s licensing authority or the College’s accrediting agencies. A listing of contact information is located on the College website under About Us/Accreditation. A student who has attempted to file a complaint at the institutional level and was not successful may contact IBHE. IBHE online complaint system at http://complaints.ibhe.org/, accessible through the agency’s homepage (www.ibhe.org).